LEXINGTON, Ky. (Sept. 21, 2018) — A research facility expressly devoted to addressing and eradicating the state’s most significant health disparities was opened Friday morning by the University of Kentucky Board of Trustees and President Eli Capilouto, and many of the Commonwealth’s leading policymakers. Capilouto — flanked by Gov. Matt Bevin, Congressman Andy Barr and State Senate President Robert Stivers — formally opened the new 300,000-square-foot research facility in the heart of UK’s biomedical research campus. The $265 million facility — paid for by a combination of state funds and private philanthropy — will bring together basic scientists, clinicians, engineers and behavioral scientists, among others — to address the state’s most pronounced health disparities. Kentucky, for example, is among the nation’s leaders in deaths from cancer, heart disease, opioid overdoses and addiction, and diabetes. 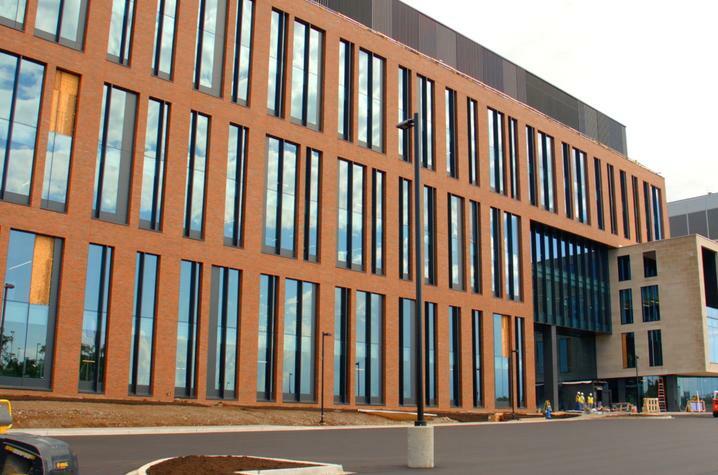 Ultimately, some 500 scientists, principal investigators, graduate and undergraduate students will work in the unique facility, which brings together experts across disciplines around the idea of more quickly developing solutions and getting them into communities where they can make a difference. Specifically, the state of Kentucky invested $132.5 million in 2015 toward the facility and then appropriated another $40 million in bonds toward the fit-out of space during the 2018 legislative session. Phase 1 of the building — a portion of the basement and floors 2 and 3 — will open this fall and the first group to move in will include some of the university’s leading cancer researchers. The six-floor facility connects to the Biomedical Biological Sciences Research Building, which sits next to the country’s largest and most advanced College of Pharmacy facility, the Lee T. Todd Jr. Building. The complex of interconnected facilities will create a synergy of efforts in health, pharmacology, basic research and behavioral sciences. Moreover, the complex of research facilities positions UK to continue to advance in securing federal funding, which has increased in recent years under the 21st Century Cures Act, to address health disparities. 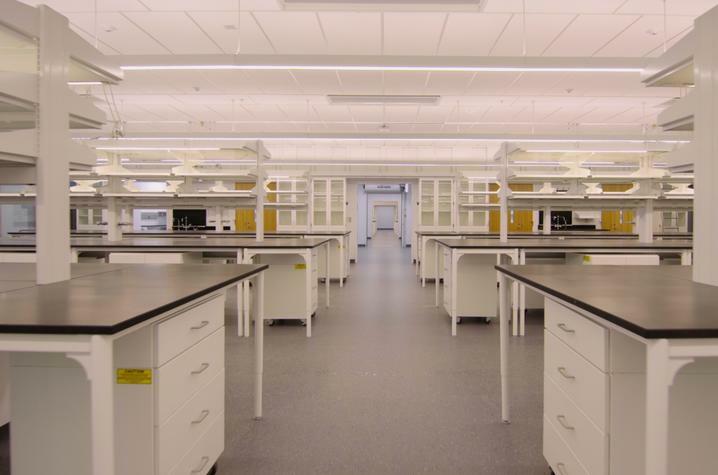 The new research facility will contain 96 biomedical laboratory benches along with imaging, behavioral and metabolic shared equipment. The connector building will contain behavioral and computational research suites.